Our software license server is hosted by Amazon S3. A common error that Amazon S3 users encounter is “The difference between the requested time and the current time is too large” or “Your computer clocks are not synchronized”. This error occurs when the date & time on your computer is not set correctly, or the timezone is not set correctly. Amazon S3 servers only allow a variation of up to 15 minutes — so if your computer’s clock is not set accurately enough then the Amazon S3 server will return this error. 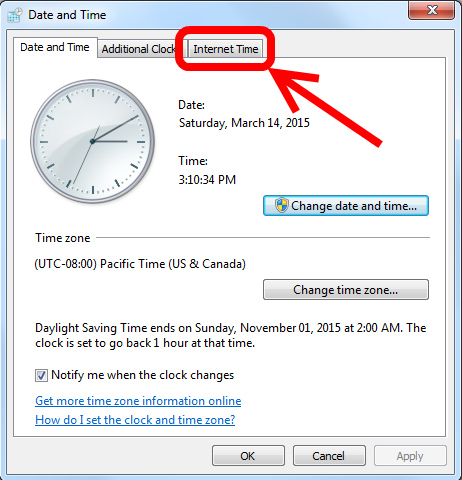 Launch Windows’ Date and Time applet and select the Internet Time tab. 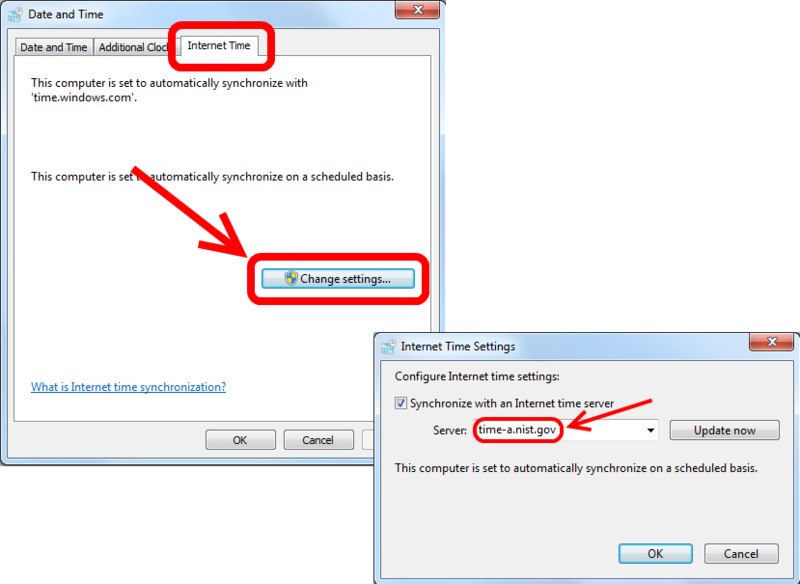 Press the Change Settings button to access the Internet Time Settings control. From the drop-down list select time-a.nist.gov. Press the Update now to synchronize with the Internet timer server. Exit the control by pressing the OK button.